Welcome to Charles Dickens online, a website dedicated to one of the most prolific and esteemed English writers, generally considered the greatest novelist of the Victorian era. Charles Dickens, one of the most popular, productive, and skilled English novelist was acclaimed for his rich storytelling and unforgettable characters. His moving, critical and sentimental stories are characterized by attacks on social injustices and hypocrisy, and offer an excellent insight into Victorian culture. 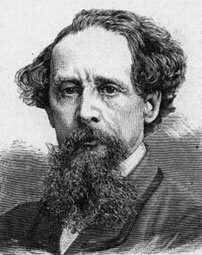 Dickens achieved massive worldwide popularity in his lifetime and is regarded as one of the giants of English literature. Today his works are still widely read and regularly adapted for cinema and television. Over 75 feature films have been made based on his novels. "I made a compact with myself that in my person literature should stand by itself, of itself, and for itself."